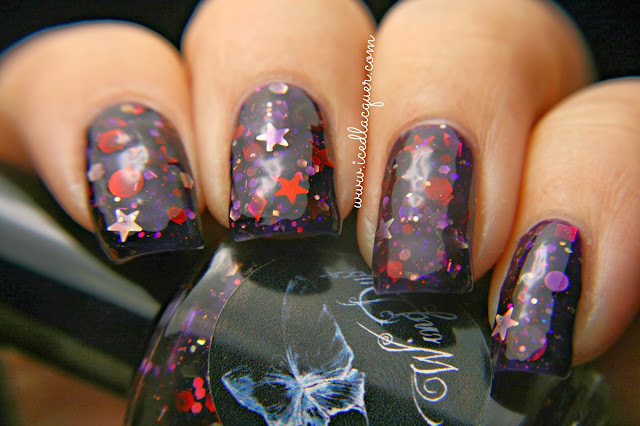 WingDust "Somewhere Out There" and "Waking Dream"
More WingDust swatches are comin' atcha today! These two are both new shades that have just been released for fall. Let's jump right into things! 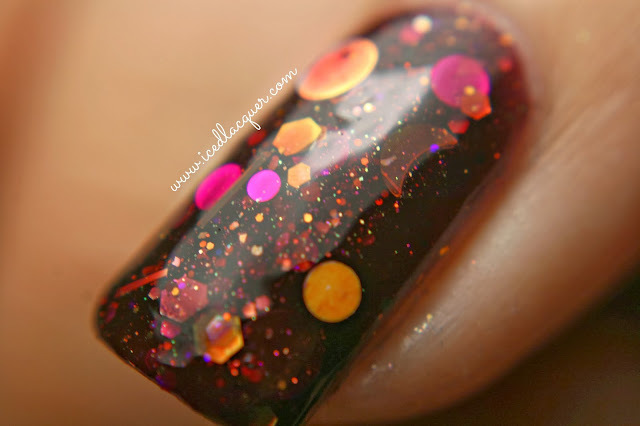 "Somewhere Out There" A deep red jelly base with a hint of purple to it is filled with orange, gold, and magenta hexes and dots, some gold crescent moons, and gold bar glitter. In addition, the base is also filled with lots of gold shimmer. I used two coats plus top coat for these pictures. My thoughts: The berry, gold, and magenta colors make for a wonderful shade for fall. I really appreciate that the bar glitters are sparse enough that they show up, but aren't at all overwhelming. 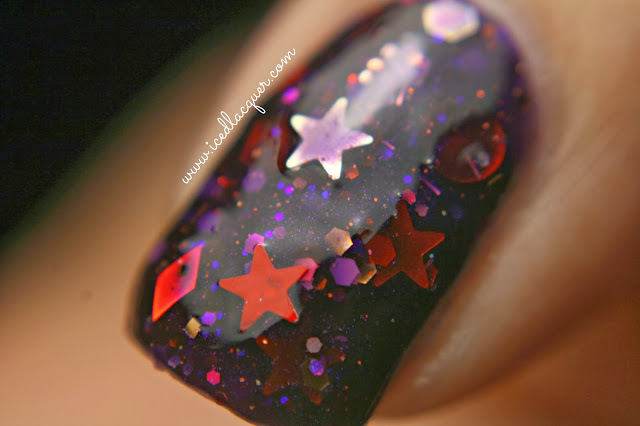 I found it to be really interesting because I would glance at a nail and think there was a large circle glitter, but once I changed the angle I could see it was actually a crescent moon glitter! "Waking Dream" An inky plum base is filled with primarily lavender, red, and gold glitters in hexes, circles, diamonds, and micro bars. There are also loads of white and red star glitters. Again, I only used two coats plus top coat for these photos. 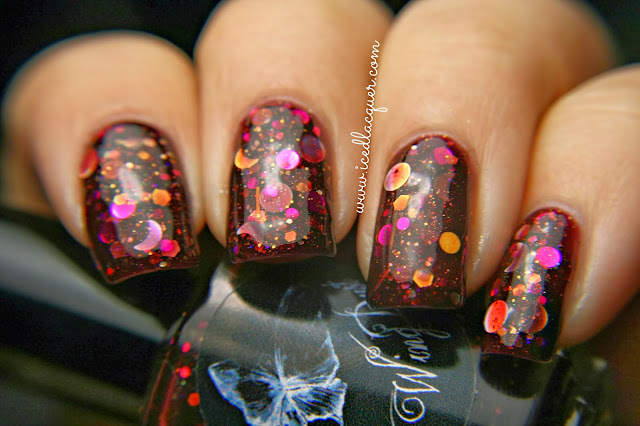 My thoughts: Another excellent color for fall and definitely unique with the mix of glitter shapes. Honestly, I can't remember the last time I saw a polish with those diamond glitters in it! I can also really appreciate that the tips of the stars are slightly rounded which means I had zero issues with them poking out or getting snagged on anything. As always, make sure you checkout WingDust Collections on Facebook HERE and go browse the Etsy shop HERE. You've gotta get yourself some of these! :D Thanks for reading!